Smartphones have become an integral part of our lives, and carriers know it—so they charge a lot of money for something they know you’re going to pay. But what if I told you that you could use your phone, including calls and texts, with nothing but Wi-Fi? It’s true—it definitely comes with some caveats, but if you’re looking to ditch your cellphone bill altogether (or you never had one to begin with), you can still make calls and texts on your smartphone. By using this guide, you’ll be able to make and receive calls, as well as send and receive text messages—all without a SIM card or cellular service. And of course you’ll be able to do all the same stuff you already use your smartphone for, too. Basically, we’re going to set up your phone with Google Voice and Google Hangouts, which allow you to do all these things over Wi-Fi. That means, of course, that in order for everything to work, you’ll need to be connected to Wi-Fi any time you want to use your phone. That’s definitely a downside, but if Wi-Fi is ubiquitous where you live, you might be able to make it work. Android’s Wi-Fi Assistant feature can make this easier by automatically connecting to trusted networks, and if you have internet at home, you may also have free access to Wi-Fi hotspots around town from the same provider. Comcast and AT&T, for example, have Wi-Fi hotspots everywhere. In addition, all calls in/to the US and Canada are free using the following methods, but you’ll have to pay extra for international calling. Lastly, let’s talk about 911 emergency services. As long as you’re doing this from a phone (not a tablet or iPod touch-like device), 911 services will always work, but you have to use the stock dialer (not the apps we’re going to use in this guide). All phones are required to support 911 services—even without a SIM card—so you’ll never have to worry during an emergency. Your phone will still have your back. These are going to be the backbone of our carrier-free setup. The first thing you’ll need is a Google Voice account and number. If you already have that, skip this step! 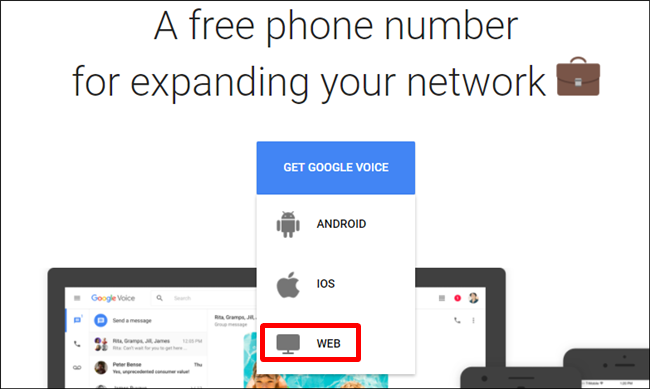 If you’re not familiar with Google Voice, here’s the quick and dirty explanation of what it is: Google Voice is a completely free phone number provided to you by Google. It can make calls in the US over the internet and send and receive text messages, without you having to pay for any phone service. 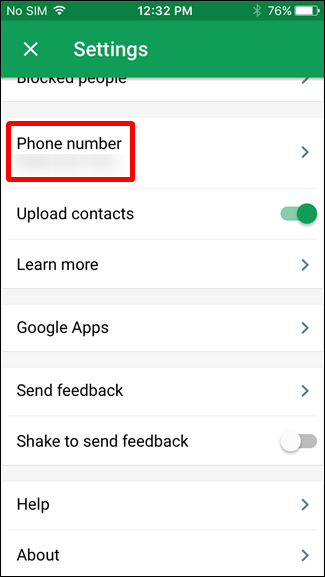 However, those calls and texts will appear to people as coming from your Google Voice number, so you’ll need to give it to all your friends and family as your “new number”—unless you port your current number to Google Voice (which is a bit more of a semi-permanent solution, but doesn’t come with the hassle of giving out a new number). To set it up, head over to the Google Voice homepage on your computer and click on “Get Google Voice” to get started. When the dropdown shows up, click on “Web” (assuming you’re doing this from a computer, of course). Click through the first prompt, then enter your city or area code to get a nearby number. 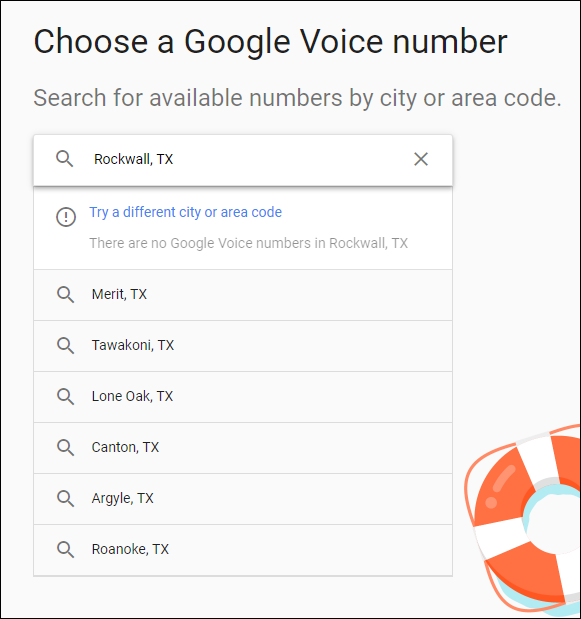 Keep in mind that Google doesn’t offer numbers for all locations, so you may have to choose something close by instead of your actual town. 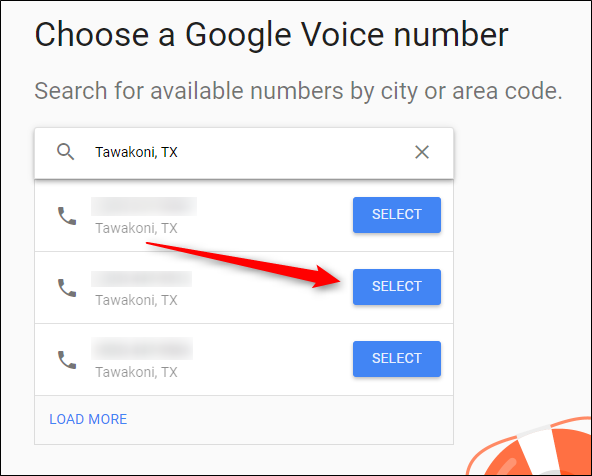 During the initial setup process, you’ll have to link an existing number to Google Voice (don’t worry, if you’re getting rid of cell service altogether, you can unlink it later). Click on Next, then enter your phone number. You’ll get a text message with a six-digit code to confirm. One you’re finished with that, it’ll let you know your number is confirmed. Nice! In the Linked Numbers section, click the X next to your primary phone number. It’ll ask if you’re sure that’s what you want to it. If it is, click the Delete button. Boom, done. Now you don’t have to worry about getting calls on both numbers. With all the tools in hand and everything installed, you’re pretty much ready to roll. It’s a relatively straightforward setup, so hopefully you won’t hit any snags along the way. It’s also worth mentioning that while you could technically do most of this stuff just using the Google Voice app, I had problems getting notifications for calls and whatnot with just Voice. 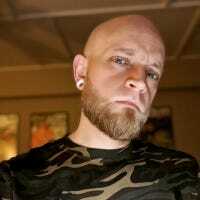 Switching everything over to Hangouts fixed that, so I recommend using that instead of just Voice. First, fire up Hangouts. This will ultimately be the hub that handles all of your settings. 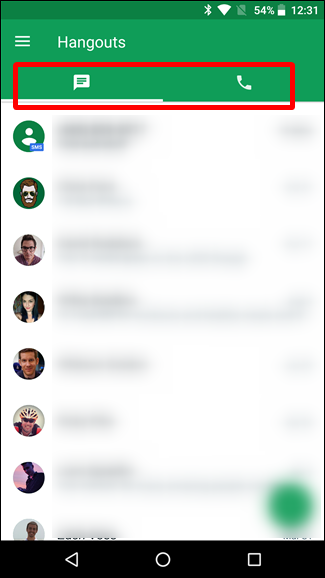 If you’ve used Hangouts before, then you already know the interface. On Android, there are two tabs: one for messages, and one for the calls (which is only present once the Hangouts Dialer is installed). On iOS, the tabs are along the bottom, and there are four: Contacts, Favorites, Messages, and Calls. Ultimately, these work the same way, and you really only need to worry about the Messages and Calls tabs on both platforms. 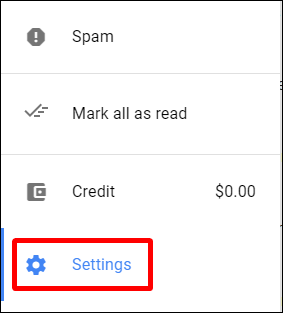 Go ahead and slide open the menu on the left side by pressing the three lines in the top corner (or just sliding in from left to right), then choose Settings. On Android, choose your account, then find the Google Voice section. On iOS, scroll down to the “Phone Number” entry and tap into this menu. The first thing you’ll want to enable is the “Incoming Phone Calls” option, which means it will ring on this phone when you get a call. If you’d like to use Hangouts instead of Google Voice for text messages as well, toggle the “Messages” option here, as well. 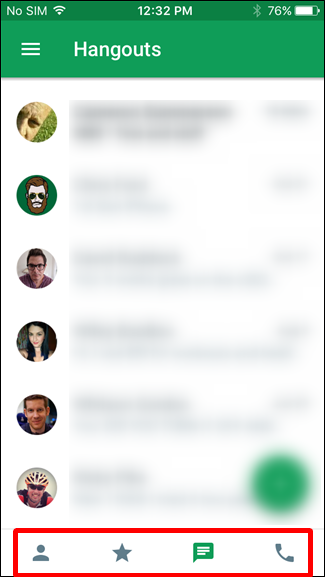 It’s nice to be able to handle everything from the same app, plus SMS in Hangouts is slightly nicer than the Voice app. Also, I found GIF support to be better in Hangouts than Voice, so take that into consideration as well. 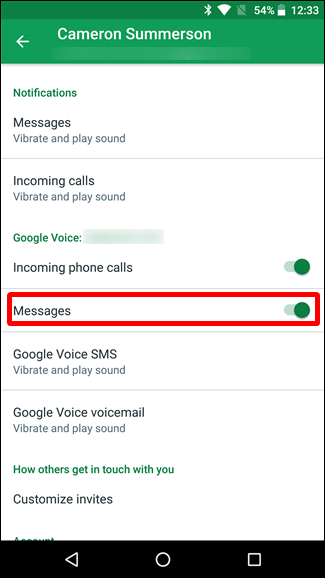 Keep in mind that if you choose to use Hangouts for SMS, you’ll get notifications on every device that has Hangouts installed—including computers. On iOS, there’s one other setting you’ll want to make sure is enabled. 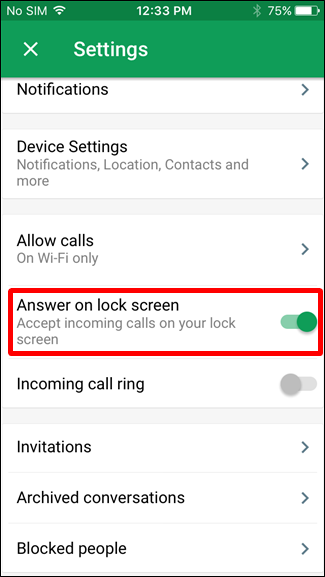 Back in the main Settings menu, toggle “Answer on lock screen” to on, which will allow you to answer calls directly from the lock screen, just like a native call. 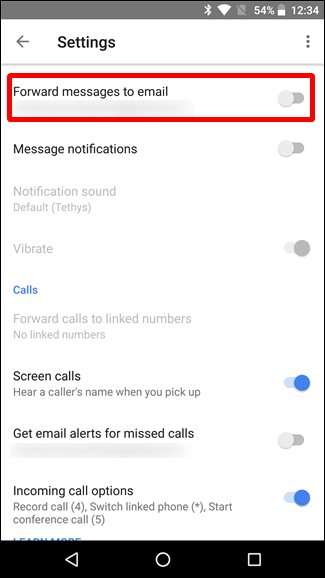 From now on, you can text and call like you normally would, but instead of using the stock dialer and messaging applications, you’ll just use Hangouts (unless, of course, you opted to use the Google Voice app for messaging). Google Voice settings are synced across devices (and the web), so there are a few things you may want to tweak. First off, if you don’t plan on using this as your main phone (which I really suggest against doing anyway), you can set all calls to forward to your main number. 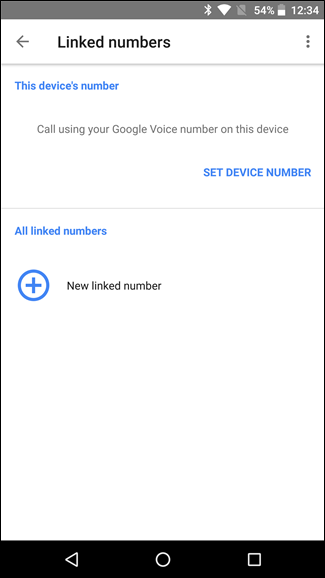 In Google Voice, open Settings, then choose “Linked Numbers” to add your primary number. If you did this when setting up your Voice number and didn’t unlink it, then you’re already good here. Keep in mind that all calls and whatnot will also ring your main phone after that, so you’ll get calls on both. If you plan on using your new carrier-less setup as a standalone system, I wouldn’t worry about linking numbers. When you get a missed call on your Google Voice number, you can get email notifications. I personally find these annoying as hell, but you do you. 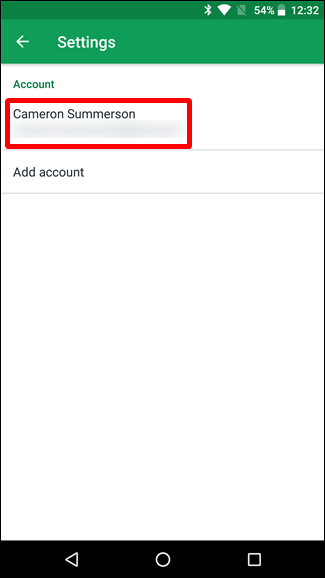 To enable this feature, open the Voice app, then go to Settings. To enable SMS over email, enable the “Forward messages to…” option. 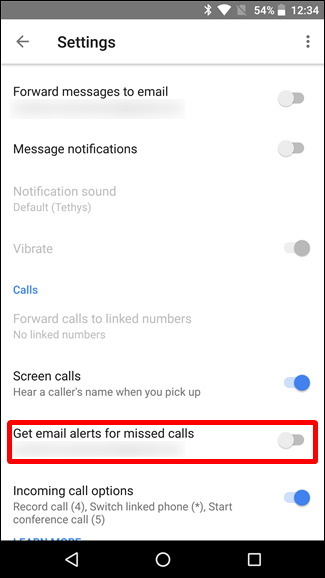 To get missed call notifications over email, enable the “Get email alerts for missed calls” option. Prepare for the flood in your inbox. 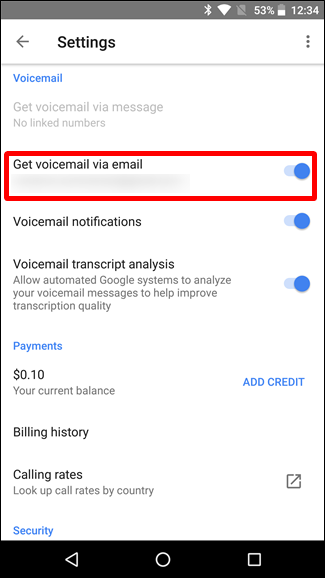 Since you’re using Google Voice to receive calls, you can also let Google transcribe your voicemails, which is neat. 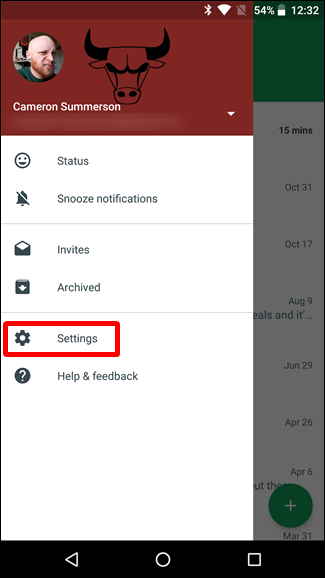 In the Voice app, open the Setting menu and scroll to the Voicemail section. 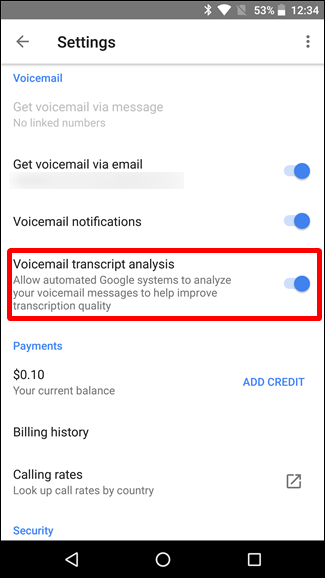 Enable the “Voicemail Transcript Analysis” option to make it happen. Also, you can enable the “Get voicemail via email” option to get these transcriptions in your email, which I actually like. 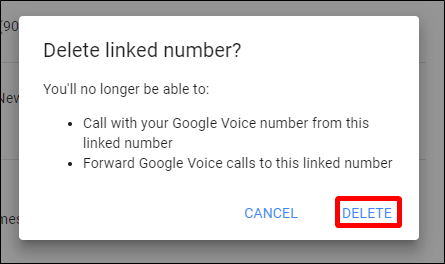 To say that Google Voice/Hangouts is the only way to do this would be silly, because there are a lot of other apps out there that do the same things. The thing is, the combination of Hangouts and Voice is easily the most universal way to use your phone without the need for a carrier, and it’s the best option for an all-in-one solution that will handle both calls and texts. All others just fall flat in this regard. Facebook Messenger: This is a great way to make calls and send messages to people you know, but the problem here is that everything is handled through your Facebook account—meaning you don’t have an actual phone number to give out in this example. WhatsApp: Pretty much the same as Facebook Messenger, only with a WhatsApp account. Other Instant Messaging Clients: The story is going to be same across the board here—you can talk to people you know over pretty much any IM client you’re both on, but you’ll be lacking the robustness and versatility of having an actual phone number to use. This is a great way to use an old phone as a second line if you need one. And considering how ubiquitous public Wi-Fi is now, you can get coverage almost anywhere—the primary exception is going to be when travelling. If you’re in the car, you’re pretty much out of luck. As soon as you re-connect, however, you’re back in business.